I guess, you have done quite settings of the rear view mirror. Your bike looks great. And I must say picture representation is good and quite easy way. Best of luck with your bike. It is a great site. It has so much of this stuff, so much information which is helpful and informative. I didn't see your article on the mirror extensions but I see the photo and that just might be for me. I'm having to move around some to see past myself when checking the traffic behind me. I had thought about getting longer stems but the ones on my Stella are pretty long as is. 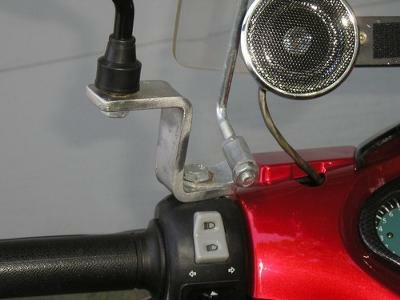 This bracket thing might set the mirrors out far enough to make my ride a lot safer so thanks for thinking outside the box, er scooter.